Are you looking for affordable Chicago furnished apartments, because Premier Luxury Suites is pleased to announce the opening of several fabulous new fully furnished options? Whether you want a place in the city, where all of the action is, or you prefer a slower pace in the suburbs, we have an amazing apartment waiting for you that you will love. Our selection of apartments includes 8 unbelievable properties in Chicagoâ€™s most sought after locations. You will be right in the middle of the action that you enjoy. It is hard to believe that there are affordable Chicago furnished apartments available with this amount of amenities, but Premier Luxury Suites has some outstanding opportunities for individuals that need temporary housing for work, relocation, or vacation. We have spacious options with two bedrooms, which are perfect for relocating families to enjoy, while they find the perfect home. There is no need to suffer in an expensive hotel, when you can have the benefits of a real home for your temporary stay. When you are looking for affordable Chicago furnished apartments, there is no need to settle for ordinary. Premier Luxury Suites offers extraordinary options at affordable prices. Our Chicago locations even include weekly maid service. You get the amenities of a hotel, such as fabulous swimming pools, unbelievable work out facilities, and more without the small accommodations that are the norm with hotels. Some of the affordable Chicago furnished apartments available through Premier Luxury Suites include, Atwater, Coast, Grand Plaza, One East Delaware, and One Superior Place. All of these are brand new buildings furnished with a touch of a decorator. The apartments include everything you want and need to call this home. The stylish furniture is just the beginning. You will also find upgraded appliances, washers and dryers (in most units), as well as the most extraordinary materials throughout. 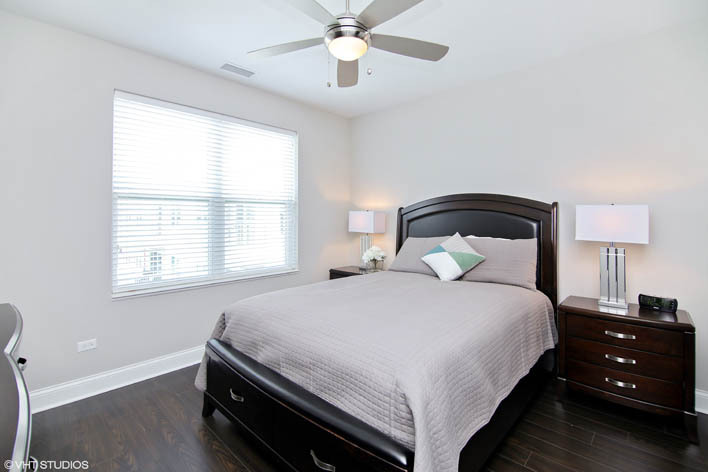 Affordable Chicago furnished apartments do not need to be drab. When you choose Premier Luxury Suites properties for your temporary home, you will be living the life you always wanted in the location that suits your needs. Our apartments include everything you need to make a home. We provide telephone service or credit, plus high speed Internet access. You will also enjoy amazing entertainment whether you are taking advantage of the night life around you, or teeing off in one of our properties virtual reality golf simulator. There is so much to keep you occupied you might not want to leave. Premier Luxury Suites wants you to call one of our affordable Chicago furnished apartments home. We truly care about your experience with us, and we go out of our way to ensure your stay with us deserves a five-star rating. We may not be a hotel, but you will find out we treat you like a guest should be treated. Moving to a new area, travelling for work, or having your house renovated can be a stressful time, so why not stay at a place that you will be happy to call home. Nestled between Michigan Avenue and the Lakefront, the Streeter is surrounded by an abundance of dining, shopping and entertainment options while maintaining the feel of a neighborhood.